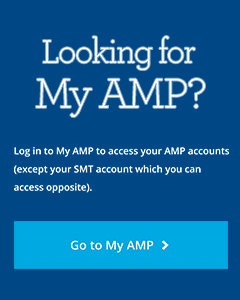 SMT portal (formerly myAMP) allows you to check your Superannuation Master Trust (SMT) balance and account transactions. Daily updates offer a current view of your retirement plan. Enter your login details below to begin. If you have trouble gaining access or would like to register please contact Customer Services on 0800 808 801.